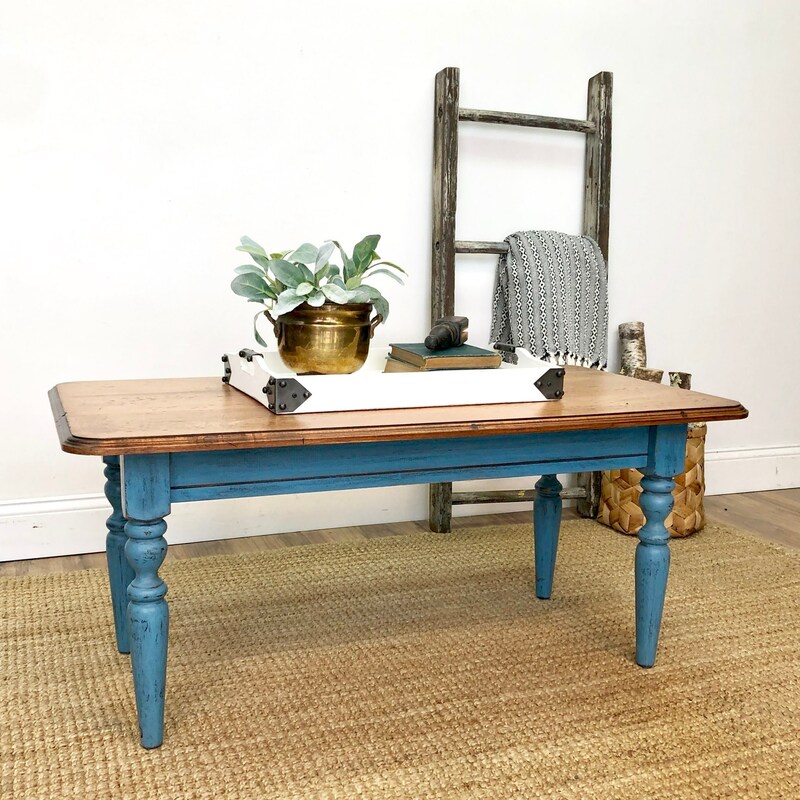 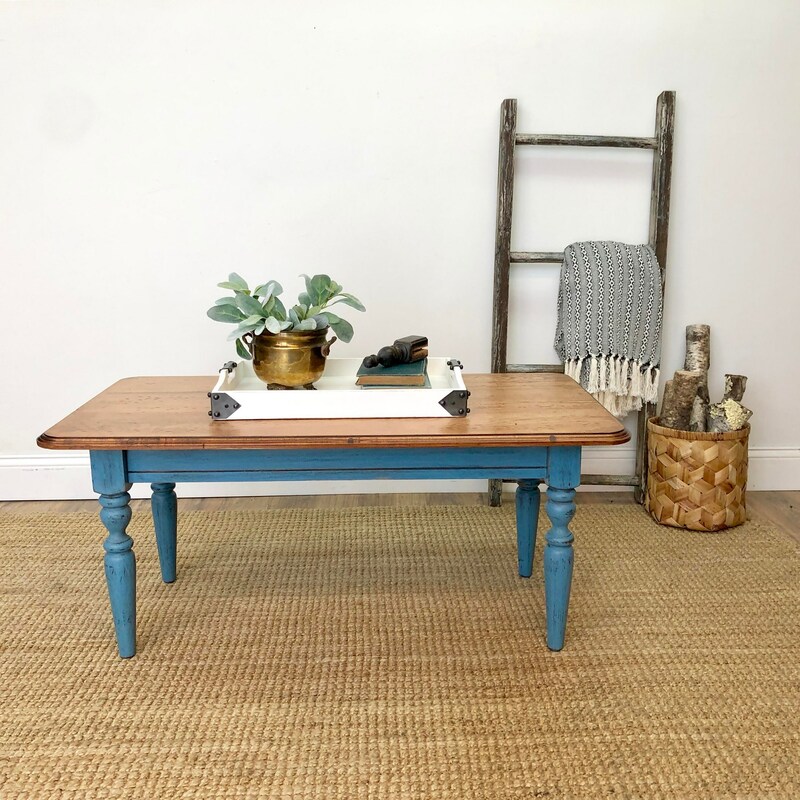 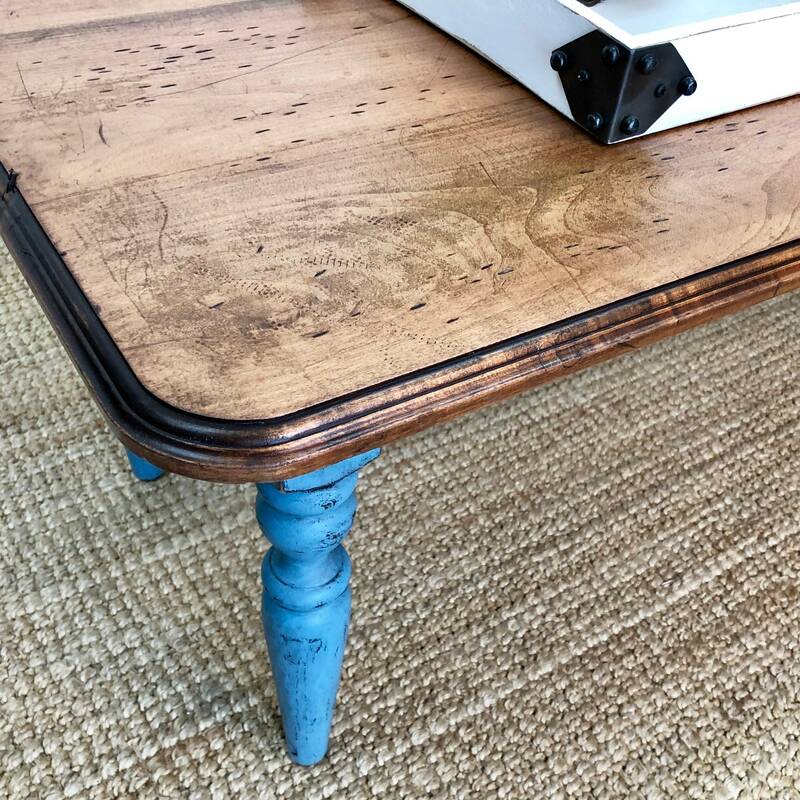 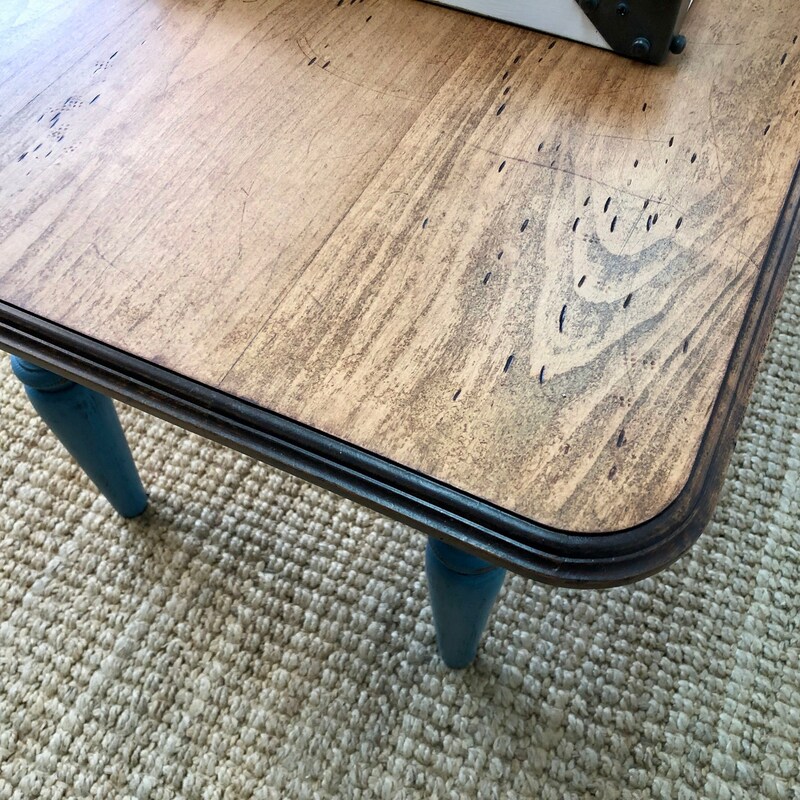 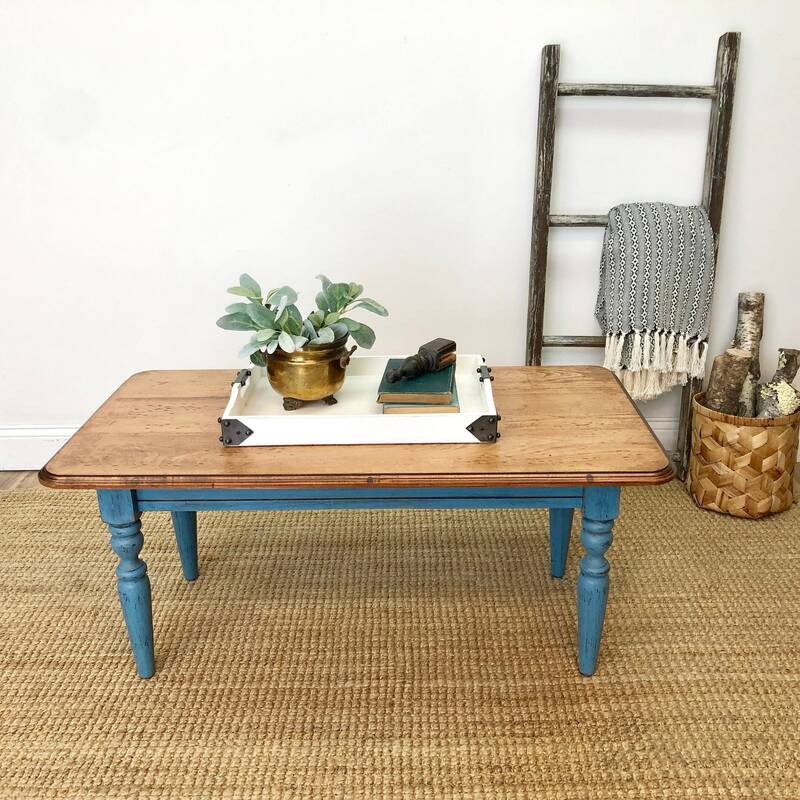 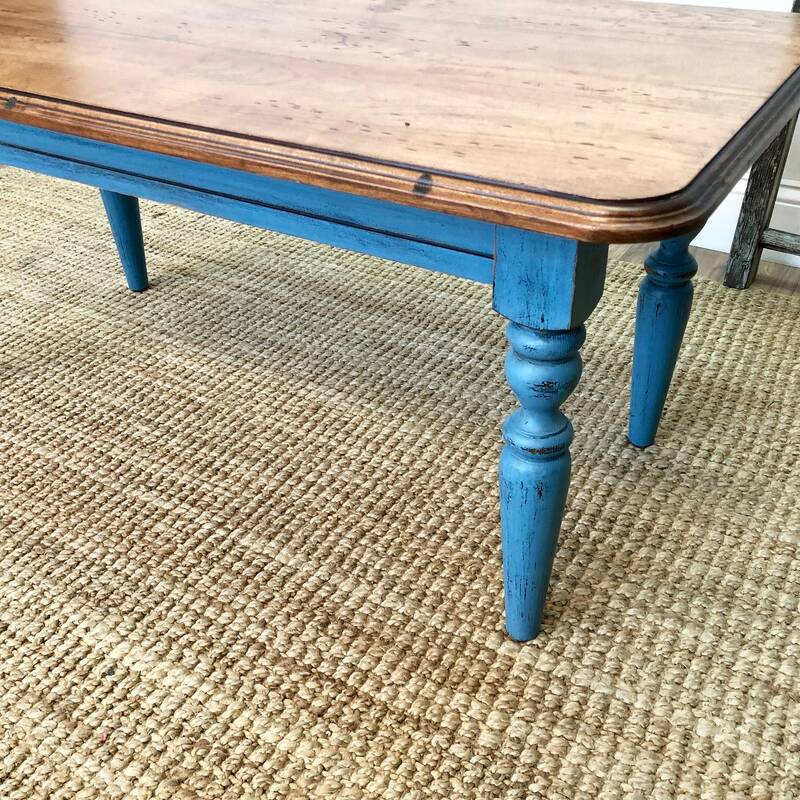 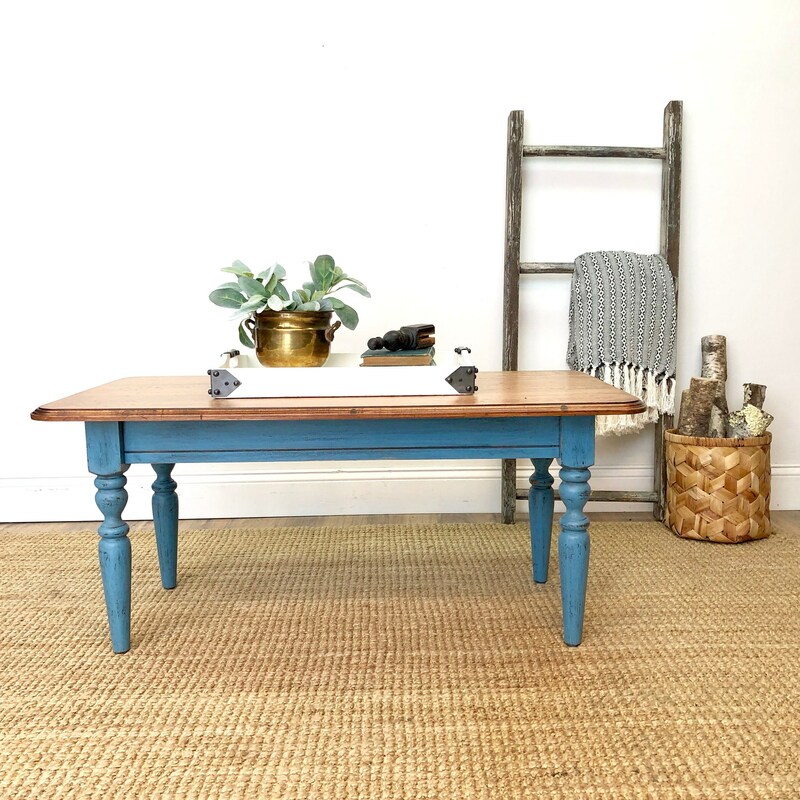 Add some rustic charm to your farmhouse living room or seating area with this small coffee table in a French blue color. 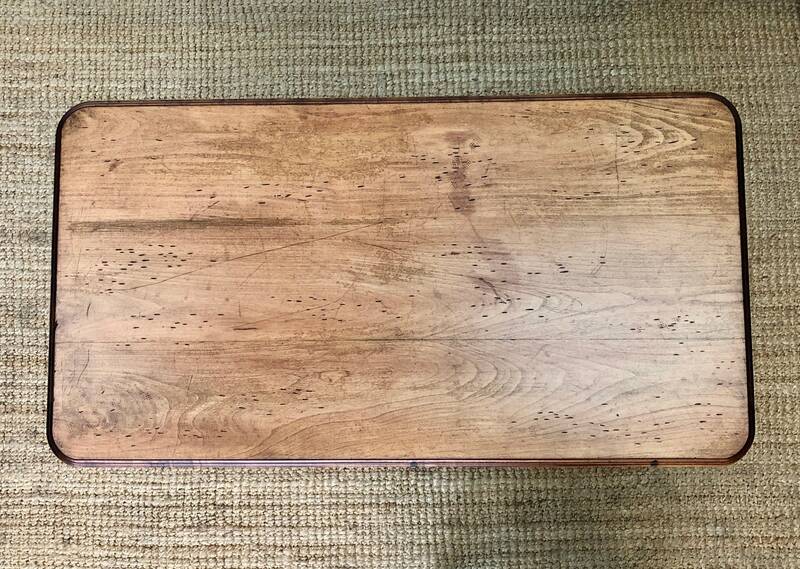 Don't compromise on quality by going for anything less than real wood furniture, that will last another lifetime. 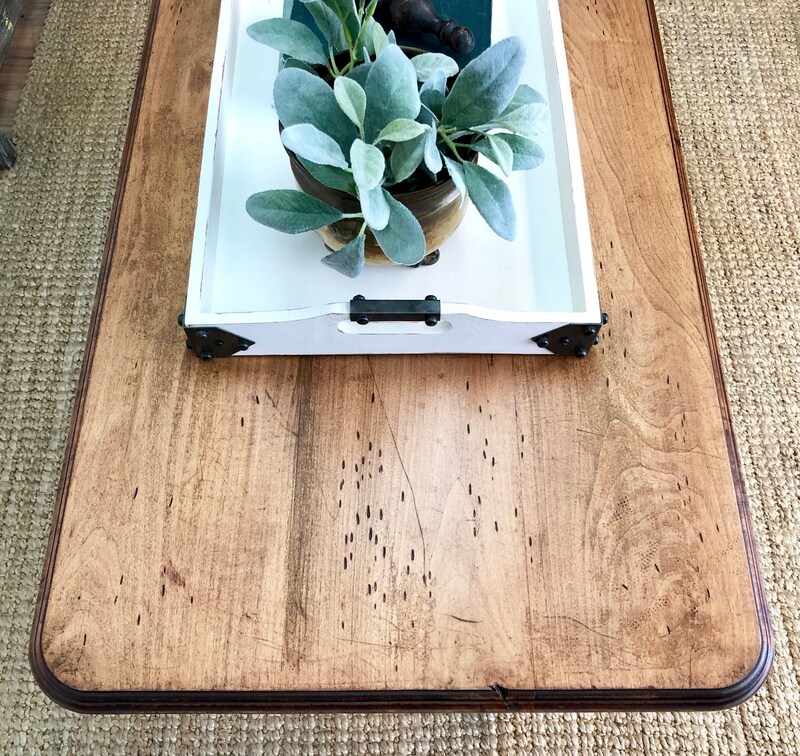 Equally suited in your Farmhouse or Coastal interior. 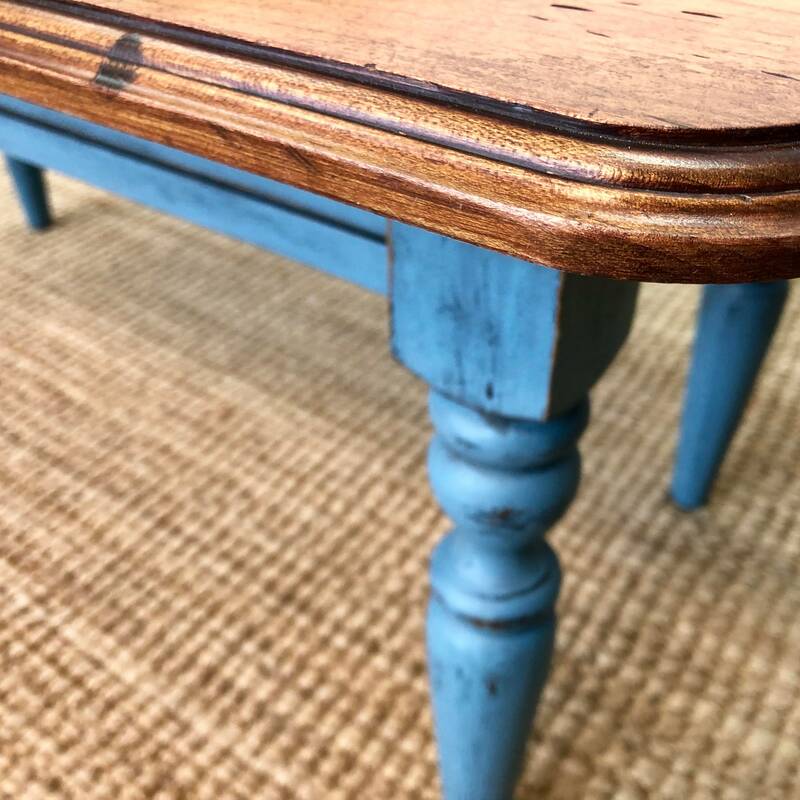 Hand-painted and distressed for the farmhouse, country chic look.